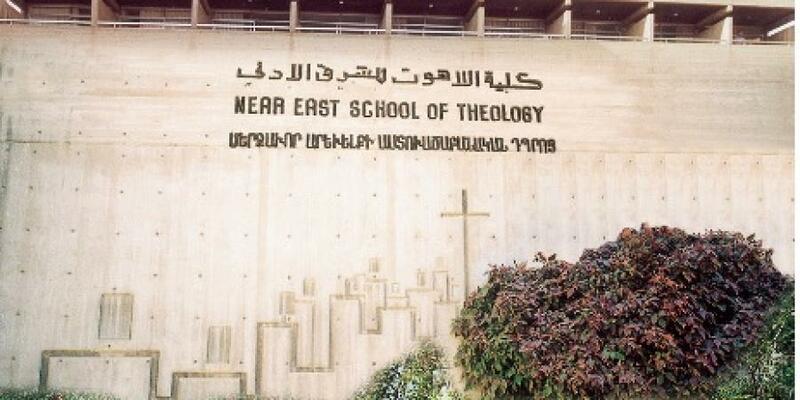 The Near East School of Theology (NEST) is an inter-confessional Protestant Seminary serving the evangelical churches of the Middle East. It is the oldest Protestant theological school in the Middle East, and the only accredited Protestant Seminary in Lebanon. The primary purpose of NEST is to train pastors and church workers for ministry in the churches and other evangelical organizations in the Middle East. It is also concerned with continuing theological education of pastors and lay people. The NEST welcomes candidates from other Middle Eastern churches, as well as any person seeking to learn about Protestant theology and faith, irrespective of his or her religious affiliation. Students from beyond the Middle East, who have a special interest in Biblical Studies against the cultural background of the Middle East, Islamics or Oriental and Orthodox churches, are also welcome. The NEST is a member of the Association of Theological Institutes in the Middle East (ATIME) and cooperates closely with the Fellowship of the Middle East Evangelical Churches (FMEEC) and the Middle East Council of Churches (MECC). It is also a member of the Encounter of Christian and Islamic Religious Colleges and Institutions in Lebanon. NEST is located in the western part of Beirut, near major educational and cultural institutions, in a section of the city that has a long history of Christian-Muslim coexistence. It houses a library of 42000 volumes in English, Arabic, Armenian, French, and German. The NEST offers a special program for Pastors on Sabbatical who would like to become acquainted with and/or deepen their knowledge of the churches of the Middle East, Islam and Christian-Muslim relations. a survey and introduction to the various liturgical, doctrinal and spiritual Christian traditions, including field visits, excursions and interviews. Courses that introduce Islam historically and doctrinally, as well as advanced courses in Islamic. A special introductory course to Christian-Muslim relations, coexistence and dialogue in Lebanon and the Middle East. All courses involve field visits, interviews and encounters with local Christian and Muslim leaders and organizations. • Adequate knowledge of English - the language of instruction at NEST. Costs: ca. $ 1601/month*. This includes board and room, tuition, internet, accident insurance, and transportation for field trips.